The other day, I went on a long-winded rant about pork lard and how amazing it felt to use all the waste product while cooking. If you didn't see it yet, check it out! It was basically revolutionary for me to realized that turning fat (waste product) into lard (usable product) is an easy process. Just as revolutionary was the realization that tamales don't have to be an all day, time consuming process. 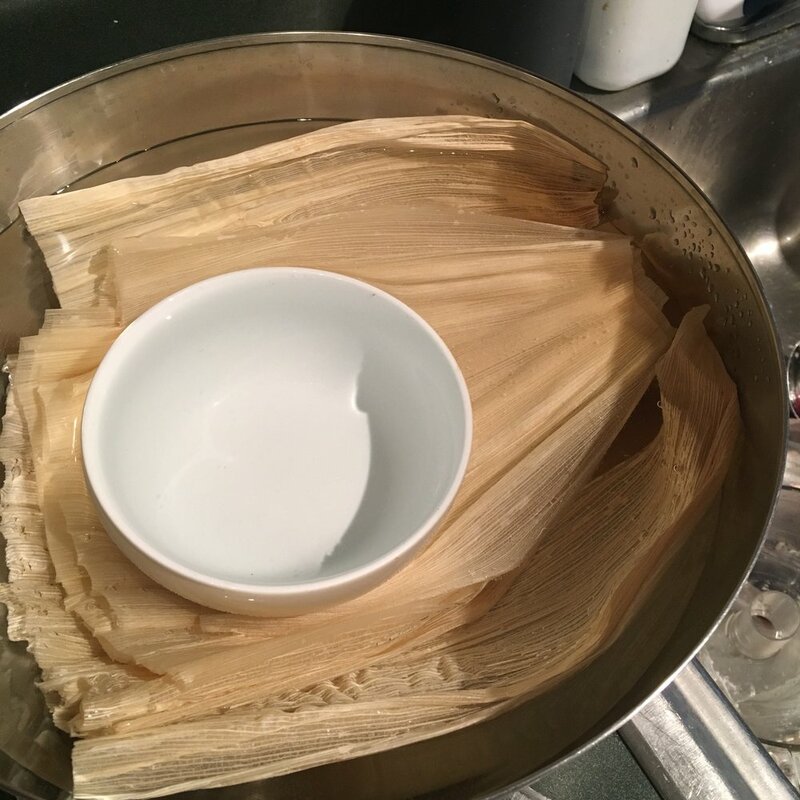 I have avoided making tamales...well, my entire life. Meaning, I have never made them before. I've made all types of Mexican food, but it just seemed like it would take all day to make it happen. I make everything from scratch, so why not give it a try? 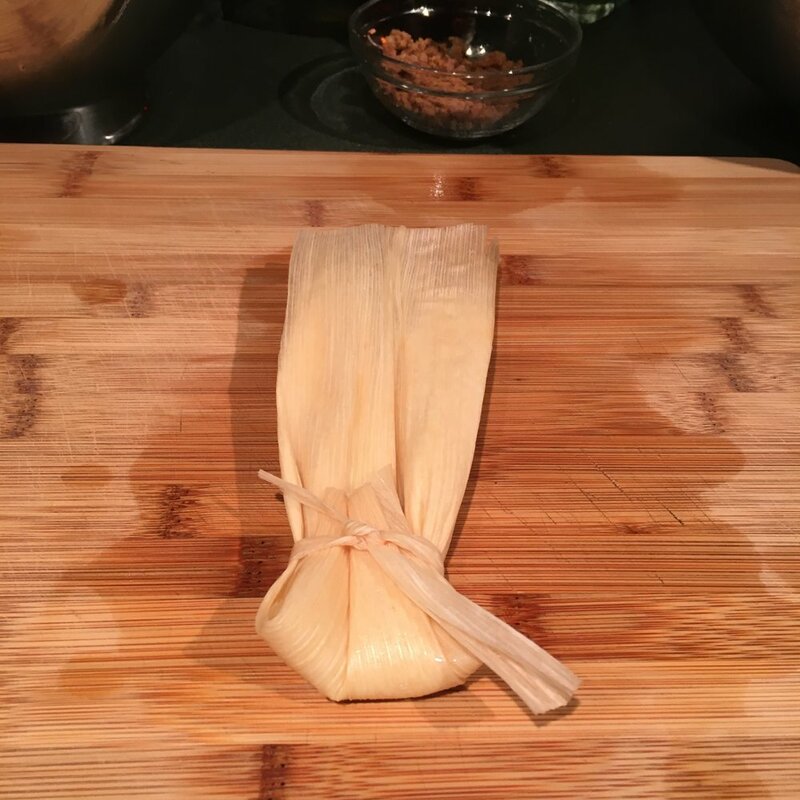 I hopped on my fancy friend Google, and there it was: a Serious Eats tamale recipe. These guys really do their research, so in general their recipes generally turn out pretty good. For the recipe and their full how-to, check out this article. Basically: hydrate your masa (I like Bob's Red Mill). While that's hydrating, whip your lard. 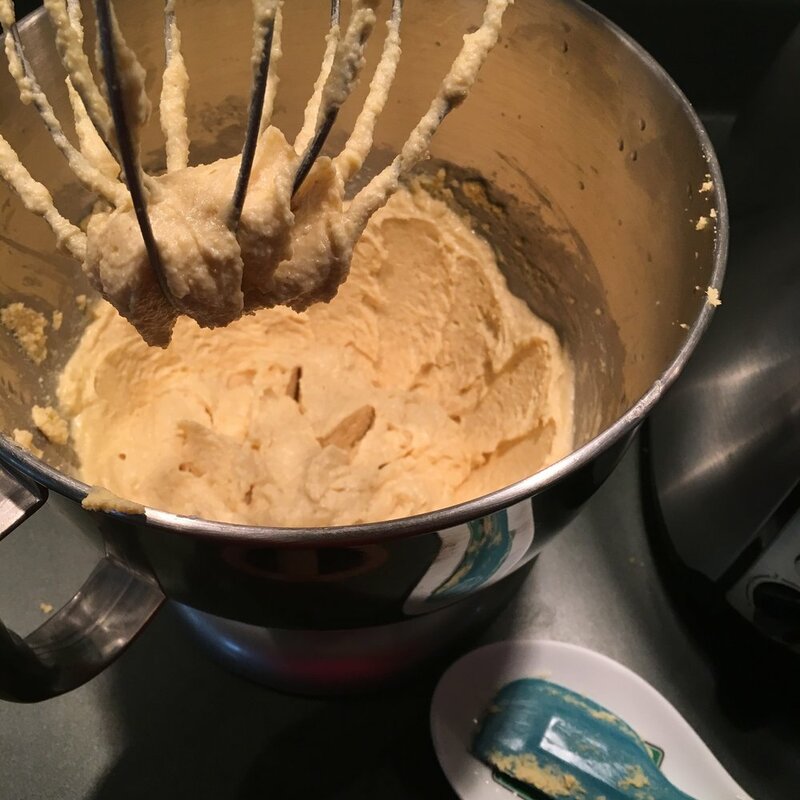 Add the masa a quarter cup at a time, drizzle in some chicken stock, and continue whipping until it's the consistency of hummus. I didn't use as much chicken stock as the Serious Eats recipe said, maybe half as much. Okay, so easy-peasy, right? Let that sit for an hour in the fridge, and get your corn husks soaking. After an hour, you're ready to start stuffing! This is the part I was dreading, but it was actually the funnest part. My husband and I put on some good tunes and knocked out our 15 tamales (we halved the recipe) in no time at all! 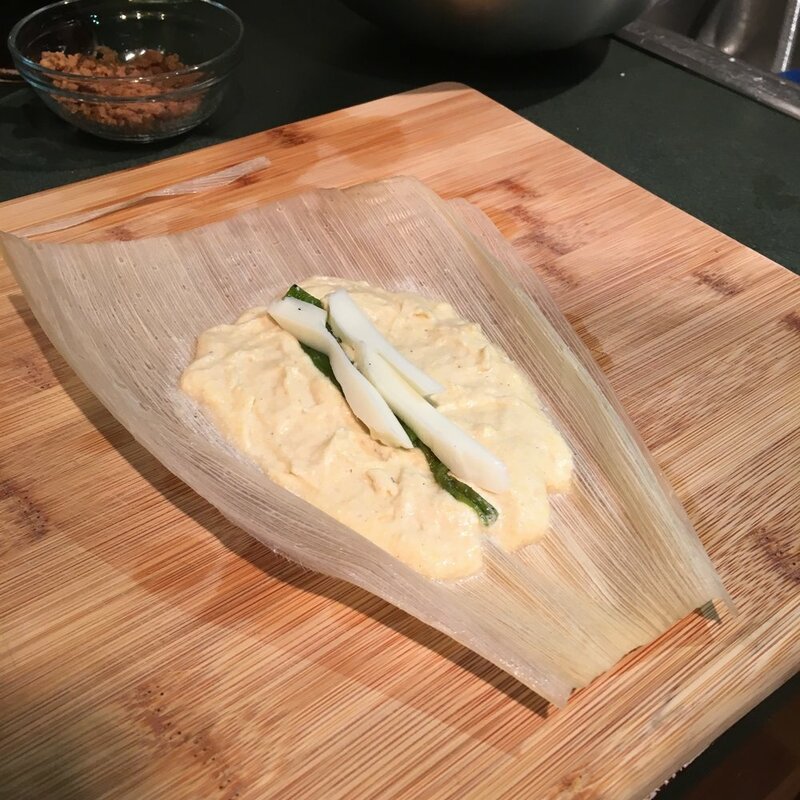 Before you know it, a beautiful plate of tamales, ready to steam! We opted for a simple filling of roasted Hatch green chili and Oaxaca cheese. We were going to smother the tamales in pork green chili, so a simple filling would allow us to taste the masa itself. A delicious plate of tamales! Next step: throw them in the steamer basket and steam until the masa has fully set, about an hour. This gave our green chili time to come together, and maybe time enough to drink a beer or two! Once the masa has set, you are ready to go! Pull them out of the steamer and unfold them. We had a lot extra, which made excellent lunch the next day. Next time I'll make the full recipe and play around with how they do in the freezer. Now that I know how easy these are, they make an excellent weekend meal. Flavor wise, the creamy masa was perfectly complimented by the slightly-spicy, roasty green chili, melty Oaxaca cheese. When smothered by our pork green chili, a little avocado, sour cream (to offset the spiciness of the green chili! ), and the crunchy cracklings from making pork lard: this made a perfect meal! Tamales smothered with pork green chili, sour cream, avocado; topped with pork cracklings.